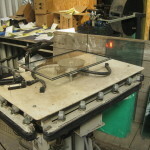 These double glazed units are much thinner than standard double glazed units and consist of a vacuum between an outer pane of low emissivity glass and an inner clear float pane resulting in a double glazed unit of high thermal performance, similar to a standard unit, without the traditional thickness and sight line. The ‘slimline’ units are produced at our Newport factory, using Low Emissivity Glass, and provide the designer and end user with extremely thin glazing units that have high thermal efficiency and have good acoustic properties. Acorn Glass and Glazing technical team are always available to assist you in meeting your requirements where thin glazing is required and slimline units may be the best outcome. 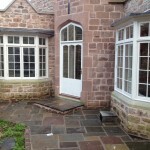 Where the slimline units are fitted in historic buildings they will improve the buildings energy efficiency and consequently reduce heating and running costs as they provide approximately 4 times the thermal insulation of single glazing. Poorly insulating windows accounting for up to 25% of heat loss in the average home. Our slimline units also provide good acoustic noise reduction and, by comparison with single glazing, provide reduced levels of condensation. Slimline units are also suitable for sliding box sashes or secondary glazing. Our slimline units also provide good acoustic noise reduction and, by comparison with single glazing, provide reduced levels of condensation. 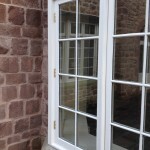 Slimline units are suitable for installation in areas where thinner, low weight glass is required such as replacement for single glazing in old frames, retaining the original appearance of historic buildings and meeting conservation requirements.